Gaurav Mehta, one of 100 'Young Global Leaders', is tapping entrepreneurs inside rural Indians, discovers Anjuli Bhargava. A brief illness -- near fatal -- 12 years ago made Gaurav Mehta, 39, rethink how his life had been progressing. Cruising along in his career in investment banking and private equity, the Dusseldorf-born and bred banker had spent the better part of his life pursuing material success in his chosen area of finance. After his miraculous recovery, Mehta felt a desire to change track and give back both to his country and society. The seed of Dharma Life began to take shape in his mind at around that time but first he quit his job in 2008 and started working with Pratham, the education NGO. It wasn't an alien area as Mehta's family in India had been involved for years in the school sector and his grandfather and family had run the Delhi Public Schools for a long time. In fact, he had known Madhav Chavan, co-founder of Pratham, through his family connections. But as he worked on finding funding for Pratham's skilling programmes, Mehta started thinking about the whole problem of livelihoods in rural areas. Given the right support, training, and finance, Mehta failed to see why rural India could not give rise to entrepreneurs of the same calibre as in the cities. "I wanted to figure out why people couldn't earn a livelihood and improve the quality of life where they lived by offering products that were sustainable and ecologically friendly. Why couldn't they offer products suited to the villages that would help improve their lives and the environment?" he asked. Mehta relocated from Dusseldorf to Delhi. 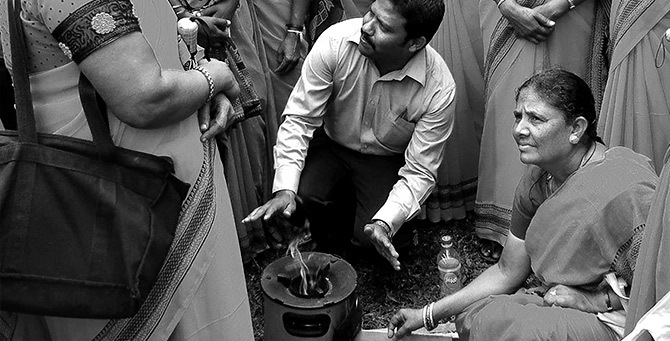 Dharma Life began with 100 men and women who were 'recruited' in 2009 in Satara, Maharashtra. The selected villages have at least 500 households, a panchayat, a village school, a health care centre, and a few kirana shops. Recruits typically include those who have not done anything before, those who have a small shop or establishment but have not grown, and self-help groups. The company is now headquartered in Delhi and has 430 employees. The 100 entrepreneurs in one state have grown to 14,000 entrepreneurs across 35,000 villages in 13 states. In the process, a big shift occurred: of the 14,000 entrepreneurs, almost 11,000 are women. "An impact assessment exercise that we did showed us that women entrepreneurs fared better and the money coming into their hands was used better. Men could fritter away their earnings but women tended to use their income judiciously," said Mehta. How the model works is that people are recruited and trained for 40 hours in communication, sales, and finance. Then they go out and raise awareness about the products that have been identified as suitable to the area. The entrepreneurs sell products in six categories ranging from livelihood (sewing machines) to education and digital literacy (books and Internet enabling modules), health, hygiene and sanitation, indoor air pollution (RO or water purifying equipment, improved cooking stoves, solar systems), and access to clean energy and nutrition (iron supplements). The entrepreneurs have to invest a small amount themselves and the rest of the inventory is provided by Dharma Life. The next step is for them to find customers in their community who are willing to buy the products, for which the company helps organise loans. 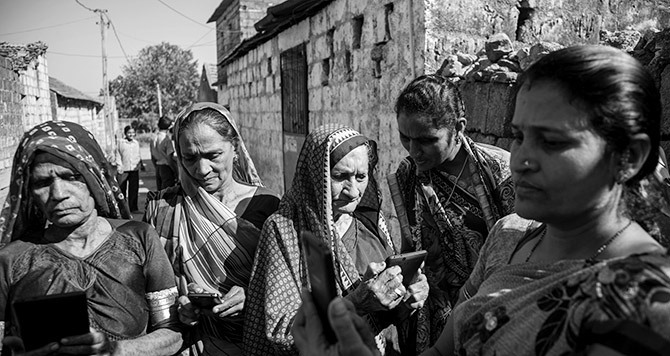 Each Dharma Life entrepreneur has a reach of up to 1,500 rural households across three to five villages. The sale proceeds are divided in a 60:40 or 70:30 ratio between the entrepreneur and Dharma Life. 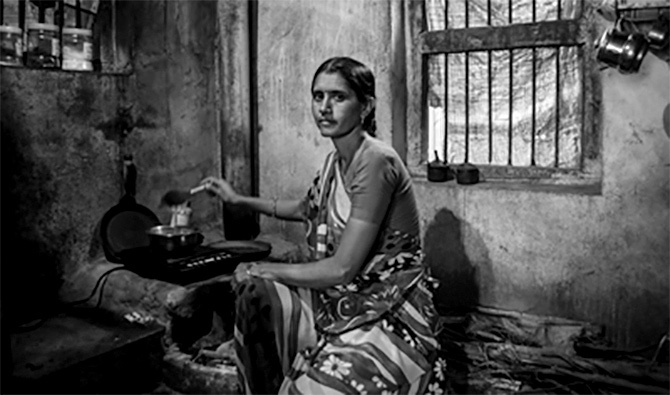 Typically, an entrepreneur earns between Rs 1,000 and Rs 4,000 a month. More motivated ones earn up to Rs 5,000 and Rs 10,000. Dharma Life has been backed by the Shell Foundation, the World Bank, and the Department for International Development, among a few others. 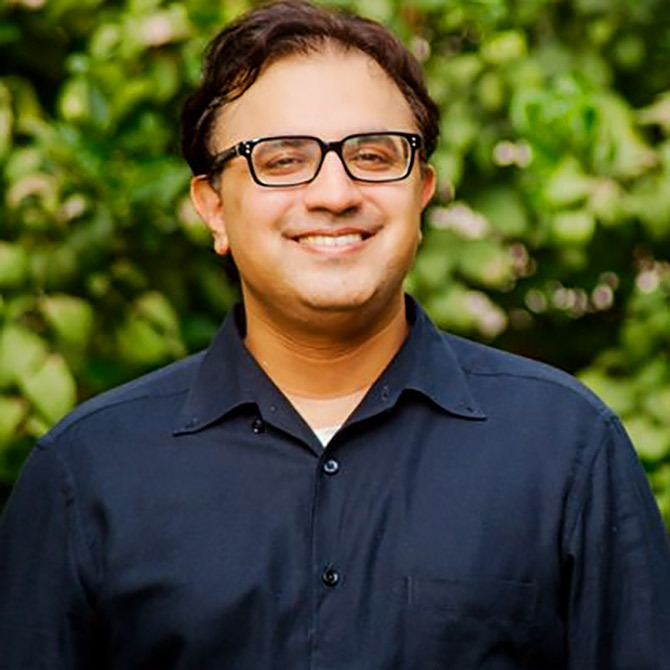 Although the company has six founders (all of whom have contributed seed money), who are on the board, Mehta is the only operational founder. Recognition of his work has started to trickle in. He was recently included in the list of 100 'Young Global Leaders' by the World Economic Forum. Sonu Bhasin, a former banker who is on Dharma Life's advisory board, says that she's happy with the fact that the company, despite its social objectives, is for-profit. "This will help it scale up and make significant impact," said Bhasin. The purely philanthropic aspect of Dharma Life's work will be handled by the plan to set up a foundation to work alongside it. Given Mehta's background, finding investors to back the project is not his biggest worry although, as of now, the funding raised has been largely grants and donations. "We already cover 80 per cent of the costs from the sales proceeds but to scale up to the next step, we will first raise $2 million," said Mehta. Despite the success he has notched up so far, for Mehta, these are early days. His goal of reaching a staggering 50 million rural consumers through a network of 100,000 village level entrepreneurs is still some way off -- but it is a lot more than a speck on the horizon.